Safariland 2005 Top Gun Level l Low Ride Duty Holster FREE SHIPPING! This version of the traditional Safariland 200 duty holster lowers the holster body and handgun grip by 1.5" to provide quick, comfortable access to the gun for a smooth and efficient draw. Doesn't quite fit the way it should. 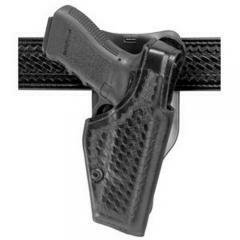 ©2002-2019 CopsPlus.com: Safariland 2005 Top Gun Level l Low Ride Duty Holster FREE SHIPPING!